From outside the facades of the original building and the extension already show main features of the neo-Baroque design that survived the war and the post-modern design of architect James Stirling who designed this complex after winning the Pritzker Architecture Prize in 1981 and is one of the 17 architects that won this award and have an example of their architecture in Berlin. The library inside this complex is open to the public and offers consulting services with "Open Access". Following the ideology of the "Open Access" movement, the scientific literature and data are open to the public with no fee. During working hours you can ring the bell and ask to see the interior court yard with no previous appointment. 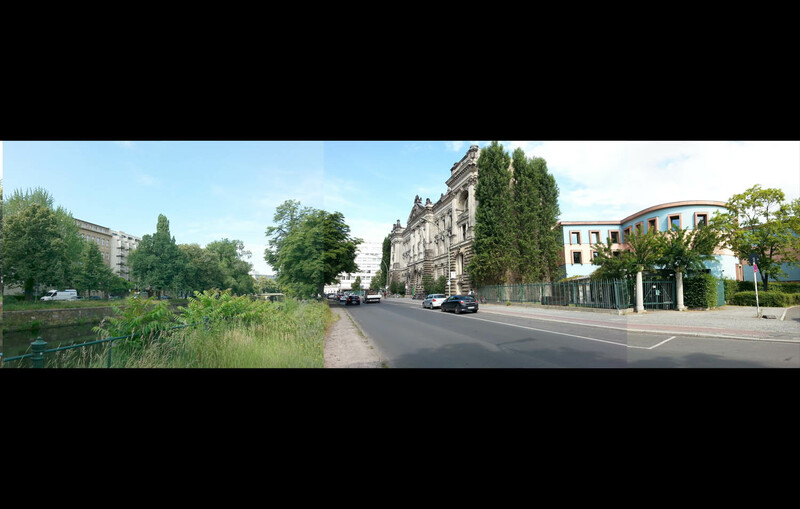 This building complex is located very close to Potsdamer Platz, Kulturforum, the Philharmonic and is neighbor to the Neue Nationalgalerie at Potsdamer Straße. The Schöneberger River passes right in front of the building too. To get there the best way is to take buses number 29 or 48. There are usually parking places very near too. If you want to see other important sites around and like walking you can get to the Sbahn and Ubhan station at Potsdamer Platz.